If you are lucky enough to be from Austin, Texas, you probably have high standards for certain things: a pit BBQ that runs all day rather than the cafeteria BBQ-style restaurants in most parts of the country; an annually-occurring music festival that just happens to be critically-acclaimed; and, most likely, the kind of corporate retreat that reflects the glory of the Lone Star State. Forget your run-of-the-mill team building activities! Whether camping, ranching, just enjoying a hacienda, the areas surrounding Austin offer a number of options for your corporate retreat. They’re all just a short bus ride from Austin and will give your team a chance to discover what a ‘retreat’ really means. 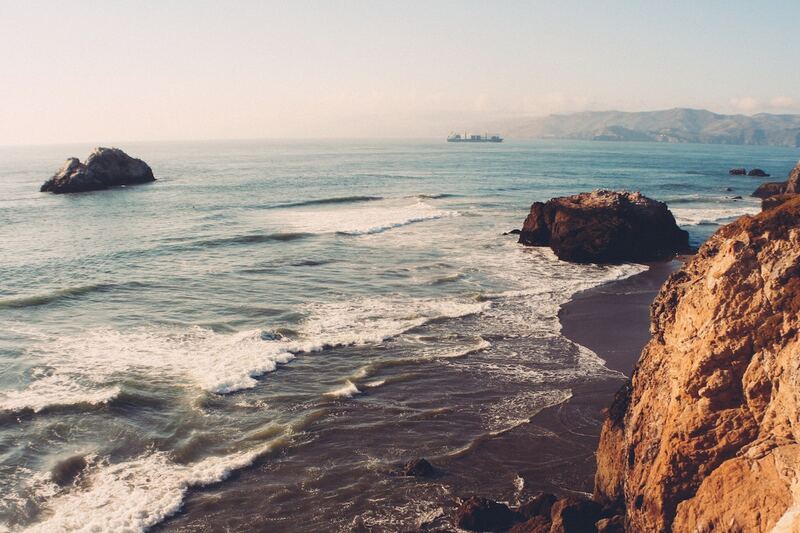 Read on to uncover the most unique retreats Austin has to offer! Get out there and enjoy a truly unique camping experience in the Lone Star state. Known for its natural beauty and diverse terrain, Texas offers outdoor getaways for any style of camping your company is looking for. All just a stone’s throw from Austin! 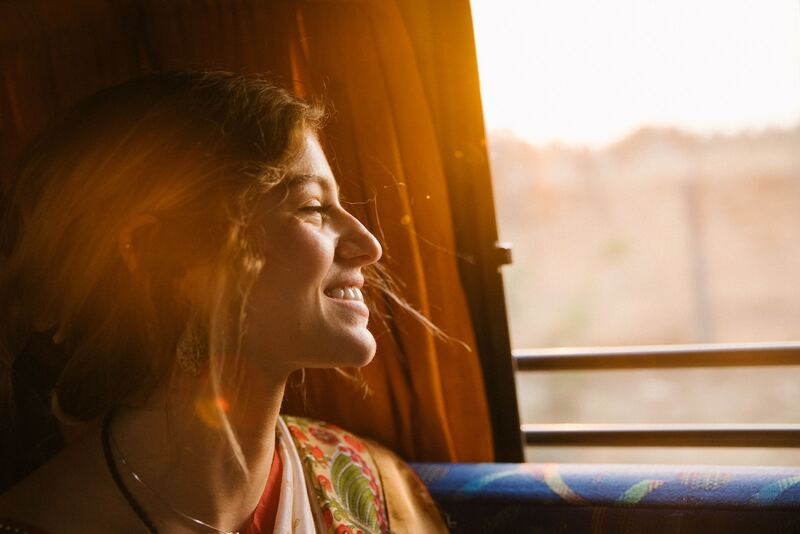 If enjoying the vast natural wonders of the outdoors while maintaining every day comforts and convenience is your angle, Collective Retreats could be your choice of corporate retreat. 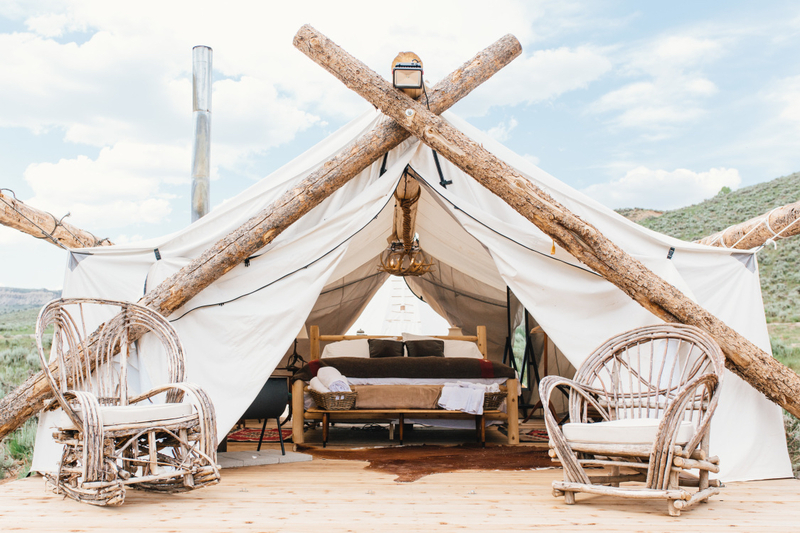 Sitting on a ridge overlooking Montesino Ranch, this glamping retreat boasts a collection of high-end luxury tents replete with creature comforts, including a wood burning stove, private bathroom, back deck, and the king size bed. Tents are also stocked with bathroom essentials, coffee and tea, and even travel books and boardgames. 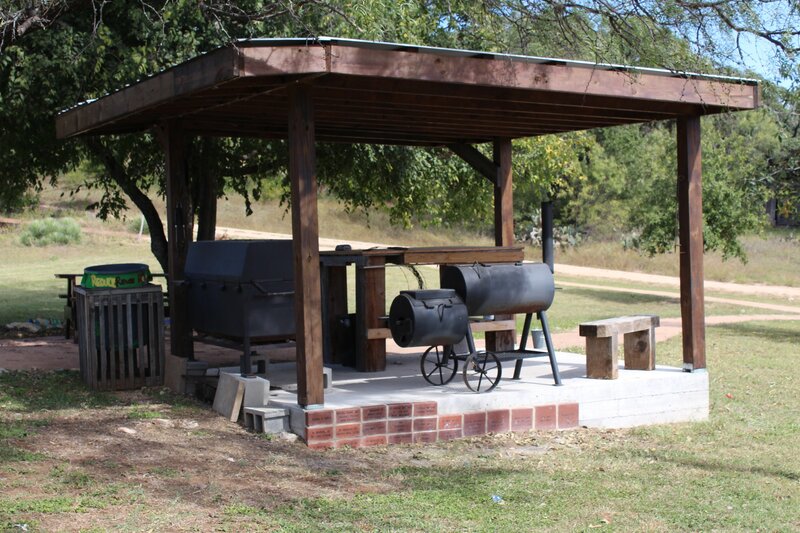 Located under a shaded wood area on Ranch grounds, this retreat really does give your team the unique outdoor experience. Collective Retreats also features a communal Pine Lodge and the many activities in the surrounding areas so that your team members should find ample opportunities to enjoy a shared experience. 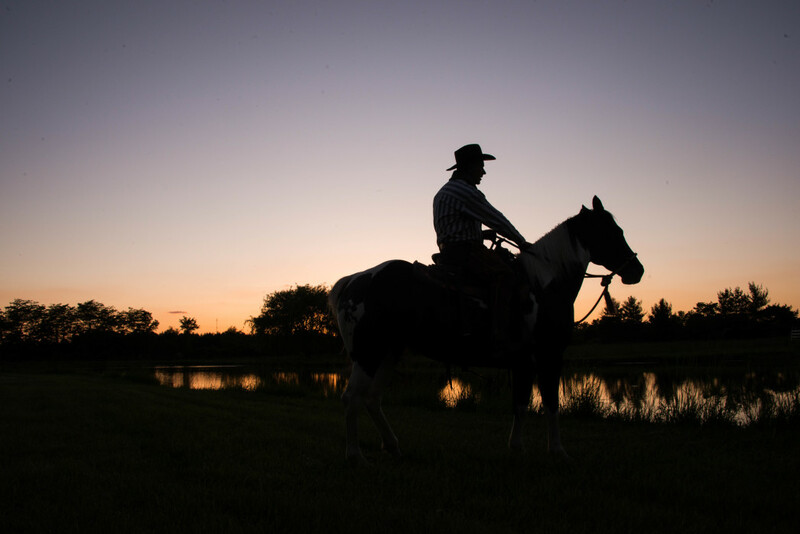 Offered activities of note include wine tasting tours, horseback riding, and farm to table dinners. With a tent capacity of two, collective retreats is well-oriented for smaller groups, but has no minimum or maximum of guests. Contact their events’ department to enquire about organizing an unforgettable corporate retreat on their luxe camping grounds. An airstream park is the unexpected change of scenery your team needs. Picture courtesy of Aistream Park. If quirky RV camping is more your team’s style, then you should probably check out Airstream Park. 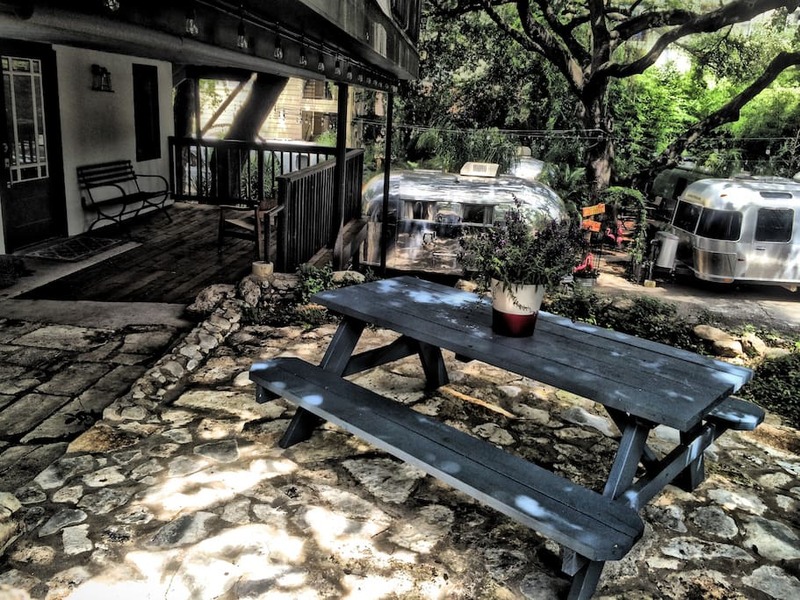 In a secluded oak tree oasis located in the heart of Austin’s Soco, this retreat offers all the amenities of a luxury trailer park. The airstreams trailers are surrounded by lush tropical plants and rock way paths, all leading to a large rock patio and chairs. The luxury airstreams themselves have all the comforts of home, including wifi, TV, kitchen, and bathroom essentials – offering a truly unique outdoor experience. With twelve beds total, Airstream park can accommodate 16 or more depending on the needs of the group. Nearby activities include an outdoor movie room, girls’ night out, and a burgeoning urban nightlife nearby. As an added bonus to all canine owners, Airstream Park is dog friendly, as well! If a rustic weekend is more of what you had in mind for your team, then you might want to check out one of Austin’s fine luxury ranches! The property features a number of rustic ranch-style houses and other facilities, perfect for accommodating most groups and their team building activities. Ones to note are the Fisher House (the original homestead on the property), a very large treehouse, and two on-site teepees. Candlelight Ranch also offers organized activities such canoeing, horseback riding, yoga, and hiking. And with a capacity of 40 people, and the mission statement to make your corporate retreat the best one ever, this unique ranch-style getaway could be ideal for your team. If you’re looking instead for a personalized retreat that will pamper your team with luxury Texas charm, a private villa or hacienda may be just what you are looking for. Each property has its own idiosyncratic beauty while maintaining that good ol’ Austin aesthetic. The perfect breakfast meeting is just breakfast! Picture courtesy of Texas Style Hacienda. True to its name, this ranch-style home boasts 5 acres of private land overlooking the sights of Texas Hill Country. 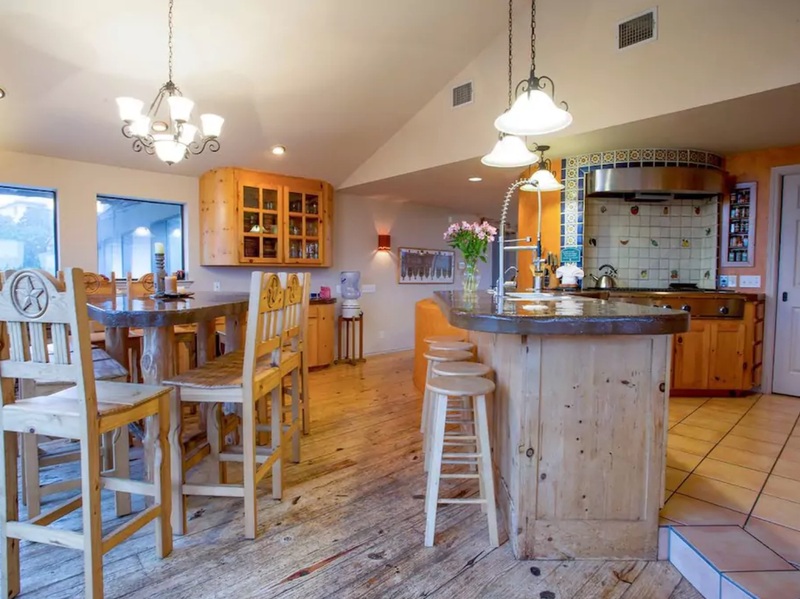 The house itself boasts beautiful archways, a circular staircase, expansive concrete countertops, a fully-equipped professional kitchen, tree-top hill country views, and a large wood-burning fireplace (which is rare to the area). A structure of high design, this large luxury house has a capacity of 24 guests for a minimum of two nights, with nine bedrooms, four bathrooms, and two living and dining areas. Truly a space for any style or group, the private grounds also allow ample opportunity for group picnics or BBQs. This Hacienda is also located near many neighbouring golf courses, marinas, music venues and public parks. 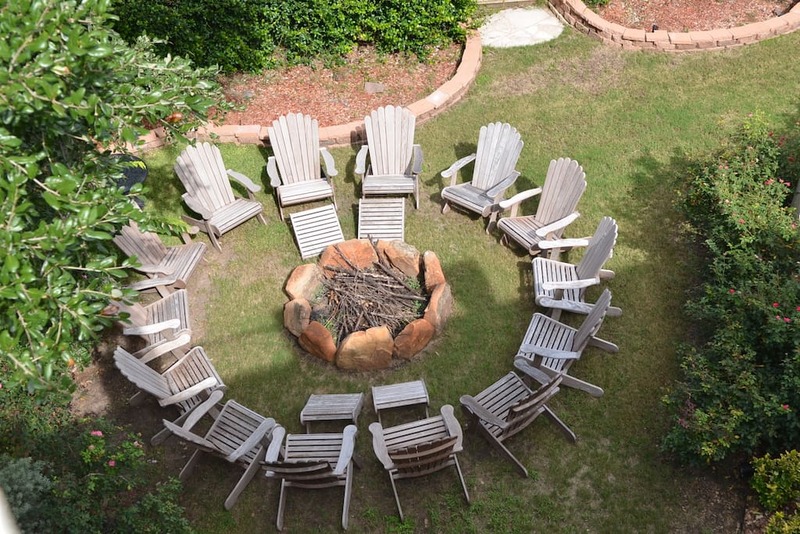 Brainstorm around the fire pit, and new ideas are sure to ignite! Picture courtesy of Highland Lake View Villa. If you’re searching for something for a smaller group that doesn’t compromise on beauty, there are many luxurious private villa homes at your disposal within the Austin area. A memorable example is the Highland Lake View Villa near Lake Travis. A central courtyard with its soft spoken use of plants compliments the engaging architecture within and surrounding the villa. The view and proximity to the lake alone are guaranteed to give each guest a memorable experience! With a capacity of fifteen (7 bedrooms, 12 beds), the villa offers an undeniable coziness, and boasts one of the only hot tubs in the area. With a minimum stay of two nights, your team is sure to have to chance to enjoy all the onsite amenities, as well as explore the surrounding area, including pools, parks, music, and BBQ. This beautiful Texas home has a ton of recreational facilities for your team to bond and unwind. Picture courtesy of South Austin Home. Of course, your team doesn’t always have to go big to have fun. There are a number of slightly less extravagant properties around Austin that are ready to accommodate your corporate treat. This South Austin Home, for example, has fun features like a pool, treehouses, and nearby zip lines and vineyards. With 5 bedrooms, the property can also accommodate up to 15 guests. The house also features a large main room, gourmet kitchen, indoor fireplace, TV, wifi, and room amenities, such as bathroom essentials. 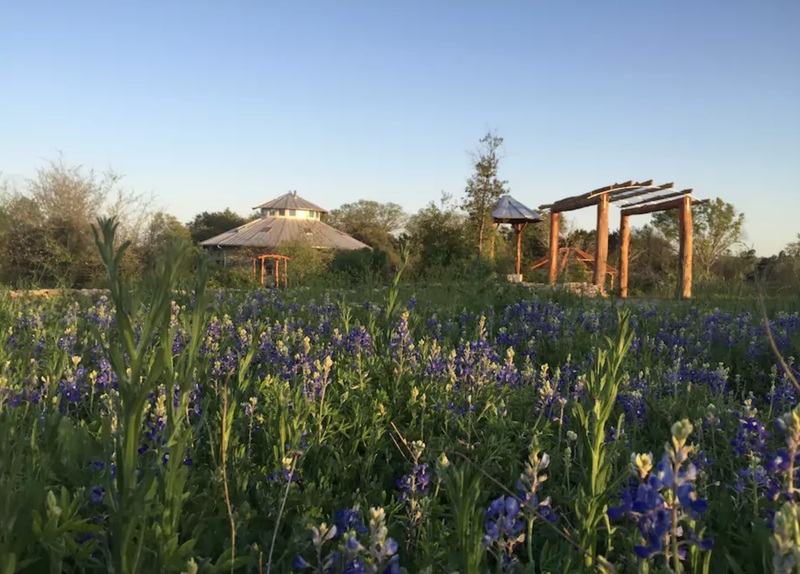 A mere 30 miles from downtown Austin and near lake Travis, your team is sure to get the Austin retreat experience while still being able to relax and experience on your own terms. In any workplace, an annual team retreat is a great way to boost morale and foster communication and cooperation. 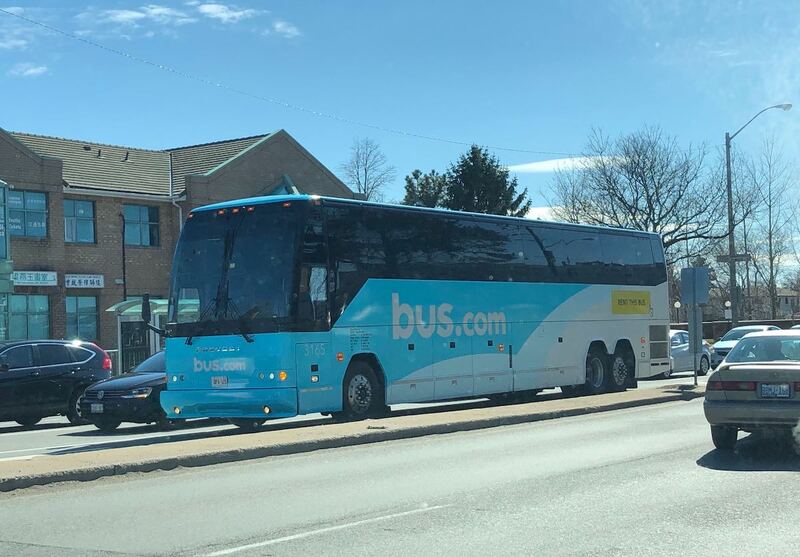 And when it comes to transporting your team en masse, a bus rental is a great way to get everyone safely there.